As a Hollywood personal trainer who has been conditioning the stars for over 15 years, Patrick Murphy is known for helping celebrities achieve their ideal beach bodies. Staying true to the test of the ultimate beach body, he trained Zac Efron and Alexandra Daddario for their recent appearances in Baywatch. Although summer has ended and we are now trying to stay in shape throughout the fall, Murphy’s exercise and diet advice is beneficial for reaching your year round fitness goals. Real Style spoke to the celebrity fitness professional about training the Baywatch stars, his best tips for aqua based workouts and his techniques for maintaining your endurance and strength. Here’s what Murphy had to share with us about staying in shape and feeling your best for the season ahead. 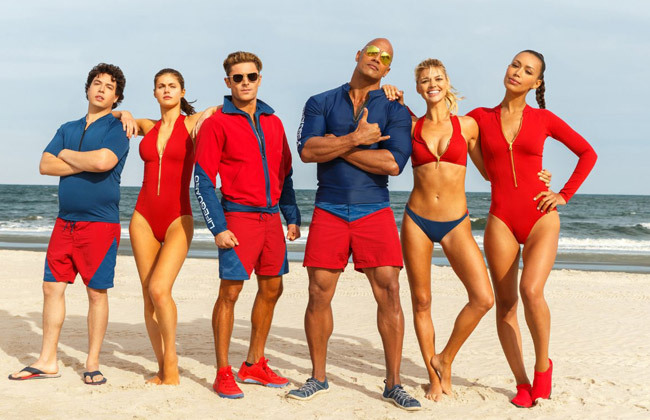 Real Style: Tell us about your experience working with the cast of Baywatch. Patrick: It was fantastic. They gave me the green light to take over the program. I put Zac Efron and Alexandra Daddario on a serious workout program. I was in charge of hiring the lifeguard training as well. They dove right into it, with super high motivation and focus. It was a lot of fun. Real Style: Zac Efron is so well known for his physique. What was it like to have the opportunity to train him? Patrick: Obviously when I met Zac for the first time, I could tell he was in great shape. We both decided to take his body and reach the full potential possible. That’s exactly what we did. 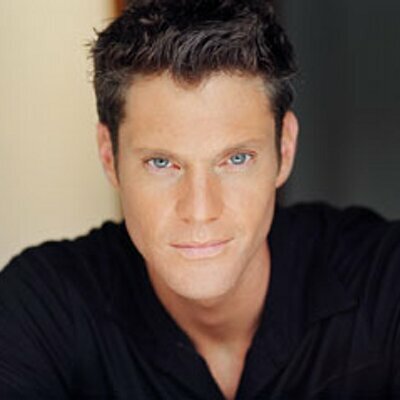 I’ve been training as a fitness professional for over 20 years and working on dozens of movies and TV shows. I feel, looking at the big screen, that Zac is probably the leanest, most ripped I’ve ever seen any actor in Hollywood history. It was amazing what we accomplished- definitely a successful program. Real Style: How did you help Alexandra Daddario reach her body goals? Patrick: She was also very driven and focused, knowing that she needed to be in a bathing suit for the whole shoot. It was really fun to train her. I got her on a pretty serious program too, and worked on a lot of balance training and stabilization, and went into a lot of strength training. We did some high level power training as well, which is quick movements and control. By the end of the shoot, Alexandra and Zac as well were in the best shape of their lives. Real Style: How can we achieve our own Baywatch body, whether at home or at the gym? Patrick: There’s a lot of direction to take there. This is why I created baywatchbodyworkout.com. I offer some workouts for people and also some nutritional guidance and proper training technique. It gives everyone out there an idea of what Alexandra and Zac had to go through in their fitness program before Baywatch. Real Style: Do you have any advice for balanced diet and nutrition? Patrick: The foundational idea of super clean healthy eating is not neglecting carbs, it’s just eating whole foods. Have an apple, stay away from apple juice. Have an orange, stay away from orange juice. Have some brown rice, don’t eat brown rice pasta. Have some quinoa, don’t have quinoa crackers. Eat all the lean proteins. Don’t eat things in a box and stay away from flour products. You can buy packaged deli meat that won’t go bad in six months, or you can go to the deli and ask for a low or no salt turkey. When you have your body absorbing nutrition [instead of] fillers, artificial dyes and all this extra stuff, your body will operate more efficiently. A good answer is implementing a whole foods diet, from carbs to fats to protein. Real Style: Speaking of Baywatch, any tips for aqua workouts or swimming as exercise? Patrick: I think swimming is amazing. It’s so good for your core and strengthens your back, and the buoyancy of the water is not hard on your body. When Alexandra and Zac would train super seriously with me in the gym with some heavier weights and resistance upon their bodies, it was a perfect combo for them to go into the pool, and do some lap swimming. A lot of people can’t run, because it’s too hard on their back or their spine. Swimming is a good alternative. The more dynamic your program, the more you avoid plateaus. That’s how you reach your full potential. Real Style: Do you have any suggestions for maintaining your stamina and energy levels during fitness? Patrick: Staying focused and stop going through your social media as you’re trying to put yourself through a workout. Interval training is great. Do interval training with weight training, or with your cardio program. When you’re weight training or doing your cardio, you want to spike your heart rate in moments of time. Then let your heart rate recover, and spike your heart rate again. There’s no wrong way to do an interval. You can take two whole minutes to max your heart rate, and then take four minutes to recover your heart rate. That’s where true calorie burning comes in.